We Are Your Honda Parts Headquarters. Honda Cruiser parts, Gold Wing parts, ST1300 parts, Shadow parts, VTX parts, CB parts, VT parts, VT 600 parts, VT 750 parts, VT 1000 parts. 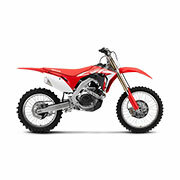 Low prices of Honda offroad parts, click for CRF450R parts, CRF250R parts, CRF150R parts, CRF450X parts, CRF250X parts, CRF250 parts. Get you Honda street bike parts for VFR1200F parts, CBR1000RR parts, Interceptor parts, CBR600RR parts, CBR1000 parts, DN-01 parts. 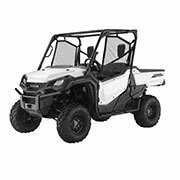 Honda utility ATV parts, FourTrax parts, FourTrax Rancher parts, FourTrax Recon parts, Four Trax parts, Rancher parts, Rincon parts. 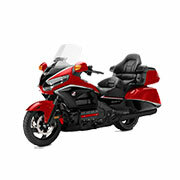 Honda Pioneer parts, Honda Big Red Parts, Honda side by side parts, Honda Pioneer accessories, Honda Big Red Accessories. When you need affordable solutions for your favorite model, we offer Honda parts at a considerable discount. Discounted up to 40% in some cases, our inventory is a great value because we are a direct dealer which allows us to keep prices low. 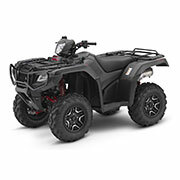 When you need the best in Honda parts, our selection has everything you need for all their top models of ATVs, motorcycles, scooters, utility vehicles, and more. While we offer an extensive selection of Honda OEM parts, you will also find a range of aftermarket products. Regardless of which option is best suited to your budget and needs, we have you covered with choices to rise to the occasion. While browsing our store, you'll also notice that we carry a full line of riding accessories as well as riding gear for Honda motorcycles and Honda ATVs. 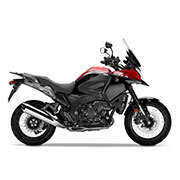 We have the Honda parts and accessories you need for your model, so you can ride in the latest gear at peak performance. We carry motorcycle accessories and motorcycle parts from all of the major manufacturers like Kuryakyn, Show Chrome, Rivco, and more. From spark plugs to brake lines, we have everything you need all in one convenient location. If you have any questions while shopping with us for Honda parts and accessories, please reach out for further assistance. A member of our team will gladly assist you in any way possible. At Honda Parts Nation, we work hard to get you the products you want at the speed you expect. We ship with UPS, USPS and FedEx to help get your order processed and shipped to your location in the most cost effective and fastest method available. We appreciate your business and continue to work hard to provide you the best service available. With over 40 years in business serving all your Honda needs, we have clearly demonstrated our commitment to delivering outstanding customer satisfaction with every transaction. Contact us today for assistance.